Once you arrive at 131 Queen Street, (between Little Collins Street and Bourke Street), take the lift to Level 8 and our training room is on your left as you exit the lift. Public transport is the easiest and quickest way to reach our Melbourne CBD training venue. BUS, TRAM and TRAIN are all close by. There is a 30 minute lunch break for courses running over 4 hours. You are welcome to bring your own lunch. Alternatively, there are a multitude of places offering food in the area. To the outside world, Melbourne presents an idyllic image as one of the most livable cities in the world. Known for its vibrant art and music scene, its thriving coffee and dining culture, as well as its legendary public venues like St. Kilda and the Federation Square, Melbourne is definitely a city worth its salt. 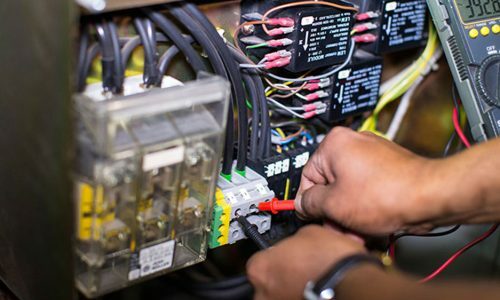 It’s hard to imagine accidents and other unfortunate incidents happening here, but they most certainly do—you just don’t hear about it all the time. And with recent statistics shedding light on the fact that less than 5% of Australians are prepared to handle emergency situations, it becomes all the more important for Melbourne residents to undergo first aid training. First aid can be defined as the emergency management of another person’s injury or illness until such a time when professional medical help becomes available. First aid is necessary for many reasons. For one thing, first aid is often carried out in order to alleviate the pain or discomfort being experienced by an affected individual. For another, first aid can also be given to prevent a person’s condition from further deteriorating until they can be brought to a proper medical facility or until paramedics or doctors can see them. Most importantly, first aid is sometimes given to preserve the life of an individual. Cardiopulmonary resuscitation, for example, is a first aid technique that can be performed on someone whose heartbeat or breathing has stopped, artificially supplying their brain and major organs with life-giving oxygenated blood. Why Do You Need to Learn First Aid in Melbourne? Knowing how to administer first aid can spell difference between life and death for someone who needs help. Considering that half a million Australians are admitted to hospitals each year due to injuries and that there are almost 8 million presentations to Australian public hospital emergency departments every year, one gets the sense that an accident or illness is always just around the corner, waiting to strike. Learning how to perform first aid empowers you to handle emergency situations confidently since you know that you can provide proper and adequate care for any casualty. 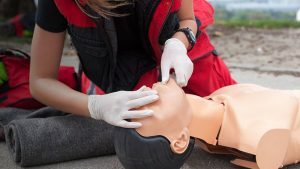 In addition to helping improve the chances of survival of individuals in need, first aid can also help prevent people from suffering dangerous complications or even life-long problems due to their injury or illness. These can be anything from a major infection to permanent deformities and disabilities. When you learn how to do first aid, you’re arming yourself with critical skills and knowledge that will allow you to render quick and efficient care that can preserve not just life but also quality of life. Are You Eligible to Take a First Aid Training Course in Melbourne? Individuals who want to become qualified first aiders must first earn Statement of Attainments for specific units of competencies from a nationally recognised training organisation like Australia Wide First Aid. And since first aid requirements differ from workplace to workplace, businesses and organisations that are planning to book with Australia Wide First Aid must first conduct a thorough assessment of their legal obligations and of the actual hazards in their workplace before deciding which courses to book for their workers. Requirements for prospective Australia Wide First Aid students are few and simple. First, they must be at least 14 years of age. If they’re under the age of 18, they need to present signed parental consent prior to attending any course. For classes requiring cardiopulmonary resuscitation, students must also possess the physical capability to perform resuscitation by kneeling on the floor and carrying out 2 minutes of uninterrupted CPR. Also note that you can only take any of the express courses (Express CPR, Express Provide First Aid, and Express Emergency First Aid) if you hold a current Statement of Attainment for the units or courses you are planning to attend. When people talk about “first aid” they are really referring to a collection of medical responses that can be performed in a wide range of emergency situations. In Australia, these different types of medical responses are catalogued by the National Register of Vocational and Education Training as units of competencies for which learners can earn Statements of Attainment. At Australia Wide First Aid, we offer courses that cover these units of competencies, sometimes as standalone classes but often as bundled course packages. These are designed to holistically prepare students for hazards and emergencies that they are likely to encounter in the real world, either in their workplace or in everyday situations. Cardiopulmonary Resuscitation – A first aid technique covered under the Provide Cardiopulmonary Resuscitation (HLTAID001) unit of competency, cardiopulmonary resuscitation or CPR is a lifesaving medical procedure that is helpful in many types of emergencies, including in cases of cardiac arrest and near drowning. 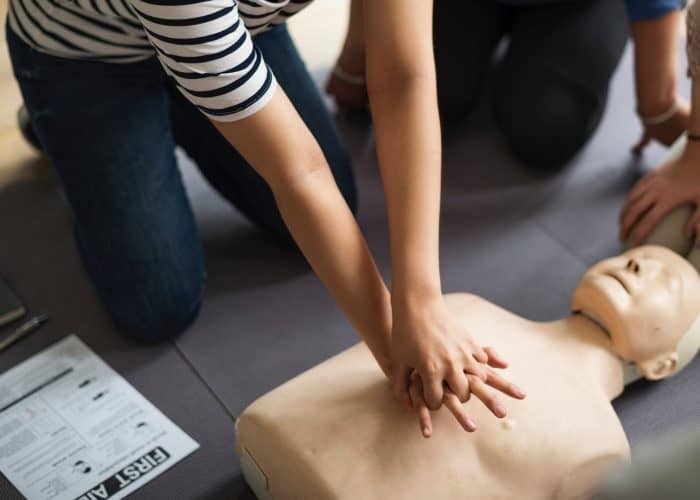 By combining methods such as chest compressions and artificial respiration, an individual trained in CPR can prevent a casualty from dying or suffering permanent brain damage due to the brain and other major organs being deprived of oxygenated blood. 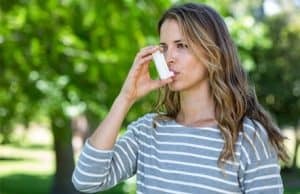 Management of Asthma Risks and Emergencies – A chronic disease affecting the airways, asthma is a potentially deadly condition that makes breathing difficult among affected individuals due to the inflammation of the air passages. In Australia, taking a Course in the Management of Asthma Risks and Emergencies in the Workplace (22282VIC) will provide students with the skills and knowledge necessary in recognizing the medical signs of asthma, as well as in following an asthma action plan, which may include administering a bronchodilator through an asthma medication reliever inhaler device. Management of Anaphylaxis – When a person suffers an anaphylactic shock, that individual experiences a serious allergic reaction brought about by the overreaction of their immune system to an apparent allergen. The shock can be caused by different things, from allergic reaction to food and medication to envenomation by stinging and biting insects. The Course in First Aid Management of Anaphylaxis (22300VIC) will equip students with the skills and knowledge necessary in the management of such anaphylactic emergencies, which may include the use of an adrenaline auto-injector. Rescue from a Live LV Panel – A unit of competency that is usually applicable to workers in industrial sectors like the transmission, distribution, and rail industries, Perform Rescue from a Live LV Panel (UETTDRRF068) can be valuable in scenarios where people find themselves compelled to rescue another individual from a low-voltage emergency situation. Basic Emergency Life Support – Provide Basic Emergency Life Support (HLTAID002) is an Australian first aid training unit of competency that aims to provide students with the fundamental skills and knowledge necessary to respond to various emergency situations. 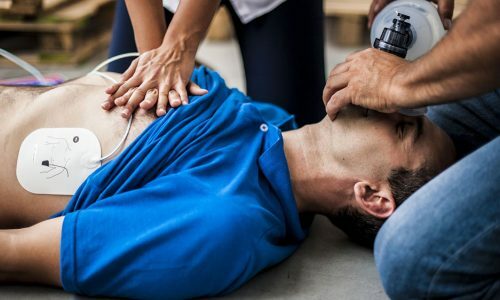 In this course, students will be taught how to follow the DRSABCD (Danger, Response, Send for Help, Airway, Breathing, CPR, and Defibrillator) action plan, and they will likewise learn how to manage a range of conditions, including shock, bleeding, airway obstruction, anaphylaxis, and asthma and other forms of respiratory distress. First Aid (General) – Provide First Aid (HLTAID003) is a unit of competency that used to be known in Australia as Apply First Aid or Senior First Aid. This comprehensive training unit will equip students with the skills and knowledge necessary to be able to provide appropriate first aid response, life support, and casualty management in a range of settings, be it in their own residence, in their place of work, or in their communities. Aside from basic life support (DRSABCD), students will learn a variety of first aid techniques like fracture, sprain, and strain management, allergy and anaphylaxis management, envenomation management, control of bleeding emergencies, and choking and airway obstruction response. Emergency Response in an Education and Care Setting – Provide an Emergency Response in an Education and Care Setting (HLTAID004) is a first aid unit of competency specifically designed for teachers and carers. It’s also useful for parents who desire child-focused training in incident and casualty management, and in delivering first aid response and basic life support. First aid training is an integral element in ensuring the safety and wellbeing of communities. By providing people with the necessary skills and knowledge they require to respond to emergency incidents, they will be in a better position to help those in need and potentially save lives in the process. 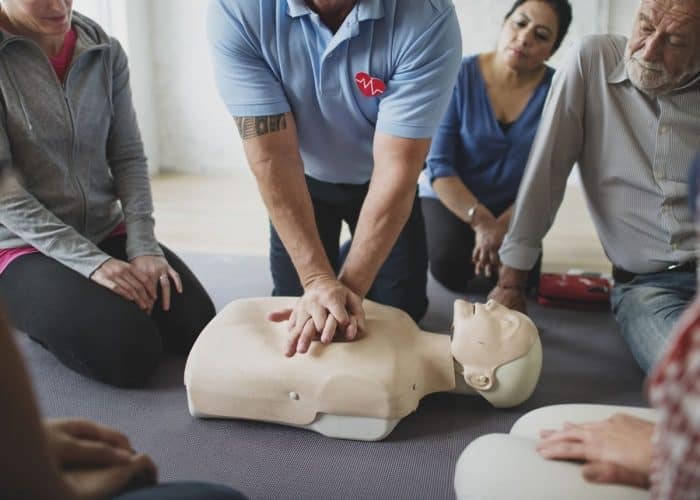 If you live in Melbourne or you desire to provide first aid training for your workers in your Melbourne-based business, get in touch with us today to learn more about how we can help you. Call Australia Wide First Aid at 1300 336 613 or send us a message through our contact page to reach out to our team.